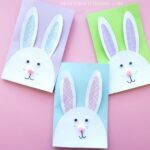 These DIY unicorn cards are gorgeous, simple to create and are guaranteed to bring a big smile to someone’s face. 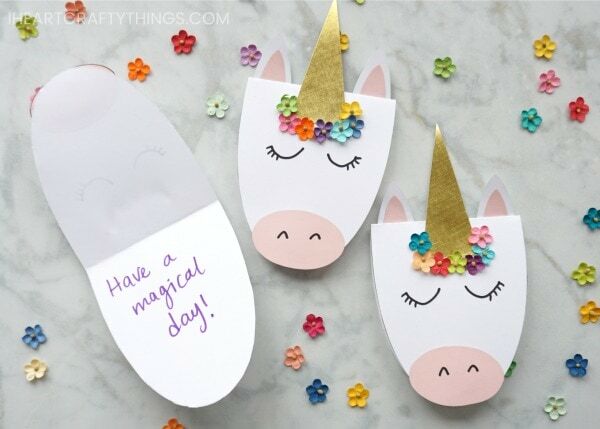 Whether you are looking for a darling card for Mother’s Day or a sweet card to brighten someone’s day on any occasion, these pretty unicorn cards fit the bill perfectly. 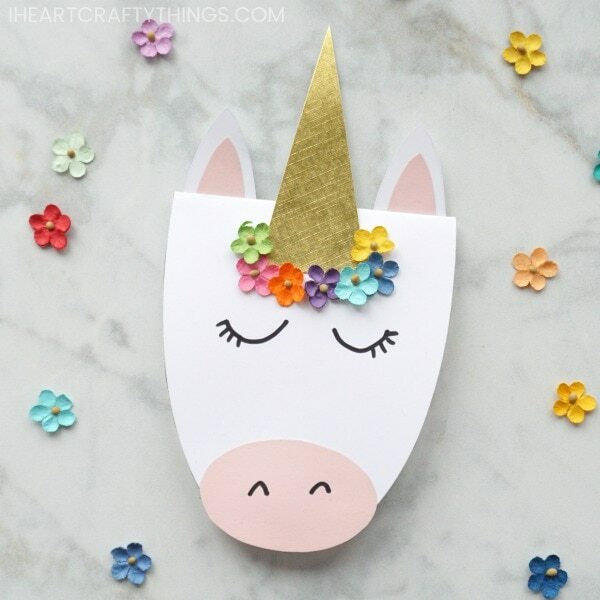 To simplify the DIY unicorn card even further, subscribe to our weekly newsletter at the bottom of this post to get our free unicorn card template. Unicorn Card Template <—– See how to download at the bottom of this post. 1. See how to download the unicorn card template at the bottom of this post. Print the unicorn face page on white cardstock. Fold the page in half on the dashed line. 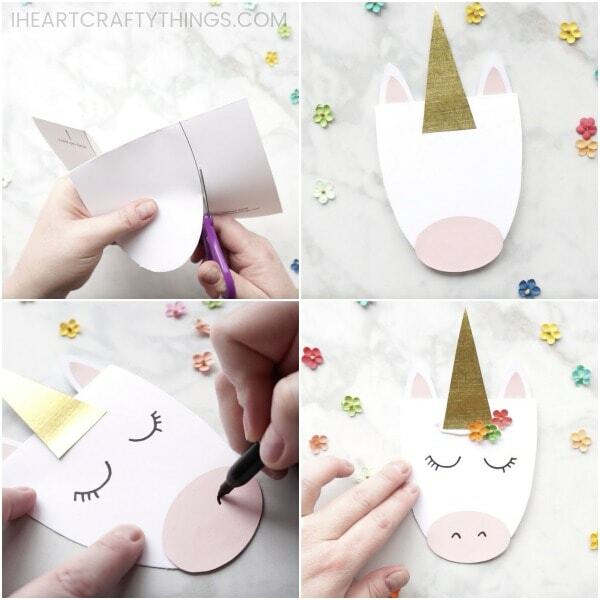 Use scissors to cut out the unicorn face. 2. Use the template to cut out white unicorn ears, a pink muzzle and inside ears and a gold horn. Glue the pieces onto the unicorn card. 3. With a black marker, draw unicorn eyelashes and nostrils on your unicorn card. 4. Add Tacky Glue around the bottom of the unicorn horn. Add several small paper flowers on the glue around the gold unicorn horn. 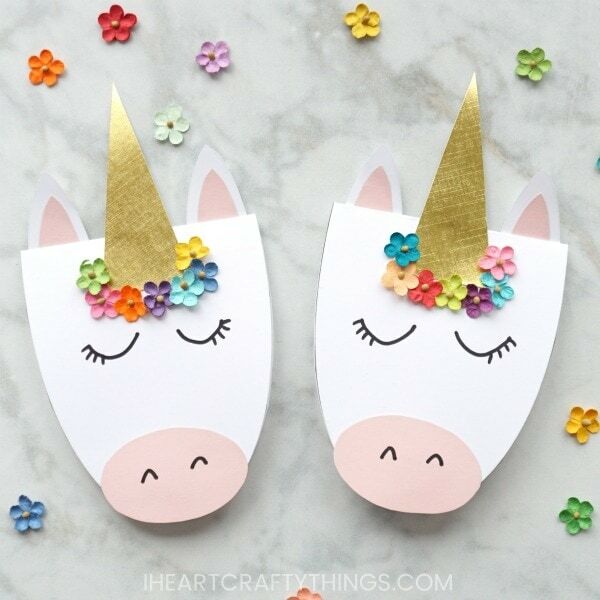 Looking for more fun unicorn crafts? Kids are sure to have a blast with these playful unicorn finger puppets. 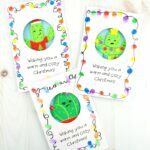 These DIY unicorn ornaments are great for Christmas or any time of the year! These Hyacinth Flower Cards are perfect for Mom and Grandma for Mother’s Day. Brighten some one’s day who you love “Bear-y much” with these cute printable cards. Enter your email address to join my weekly newsletter and get FREE access to the unicorn card template! After you click 'enter', a pop-up with the template download will appear. Love this! You have the best ideas! Thank you so much for the template.